Exercise done in groups is considered a group bonding exercise. 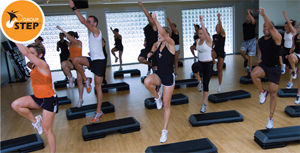 They are taught by certified instructors, in a class format to fit all kinds of fitness levels. Here are some tips on how to maximize your experience in group fitness exercise classes. Joining group fitness classes is a great way to make new friends. It's easier to get and stay fit when you are having a great time while doing it with your new peers who have the same goals. They become your new support system and you can motivate them as well. Even when you are in a group fitness class, you can still work at your own pace. Remember to leave your ego at the door, you do not have to compete with the rest of the class. Take a break when you need it. As much as you want to achieve results, do not push yourself too far too fast. Workout at your own pace, but make sure you do it right. But this doesn’t mean take it easy on yourself either. For the best results, follow what your fitness instructor is teaching. The best part about group exercise is that you will have a great time while having a great workout. The secret to a healthy lifestyle is to have fun while exercising. That way, you burn those calories and release stress. It’s best to leave your cell phone at home, in your car or in your locker. But if you have to bring it, make sure it is on silent mode. Do not forget to wear comfortable and appropriate exercise clothes. Actually fitness clothes are best. Remember, cotton absorbs sweat, so if you can skip wearing cotton t-shirt, you will be more comfortable. Do not go to the gym without water and be sure to make the most out of your water break. You are going to sweat so it is important that you get proper hydration when working out. Get fit and make friends with Answer is Fitness. Get your questions answered and join one of their group exercises now!